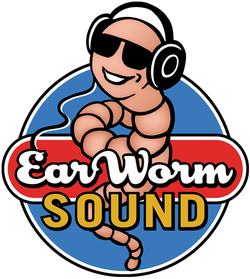 "EarWorm Sound provided an ambient soundtrack for two commercials we produced for air on NBC-Universal, Universal Sports and Versus. Their work added a life to the spots that I so appreciated - and my client's loved. Because of EarWorm Sound, I'm hooked on quality ambient sound and, of course, they will be the first vendor I call. Their response time was fast and their communication through the course of the job - excellent." ​ Leah Tremain, Tremain Media Inc.
"I’ve had the pleasure of working with Matthew Gionet of EarWorm Sound recently on a personal project I’ve been developing “The Adventures of Jimmy Zangwow”. I came to him with a limited budget and high expectations. Matthew was able to deliver on both. The end product I received from Matthew and EarWorm Sound helped bring the quality to the next level. I hope to have the opportunity to work with him again in the future." "Matt Gionet of Earworm Sound was a terrific contributor to our animated short film, ‘Foundations’. Not only did he work with us on a very tight deadline with grace and great follow-through, he supported the storytelling and emotion of the piece, lending an extra layer of depth to the narrative." "Matt Gionet of EarWorm Sound came highly recommended to Sonic Magic and we were not disappointed in the least. His quality of work, speed, and attention to detail makes him an asset to any project. Using cutting edge technology we were able to have him work remotely for us, while having our studio over 1300 miles away in Los Angeles, CA."